Short description: Can't find a fast loading and effective website, that meets all your product presentation requirements? 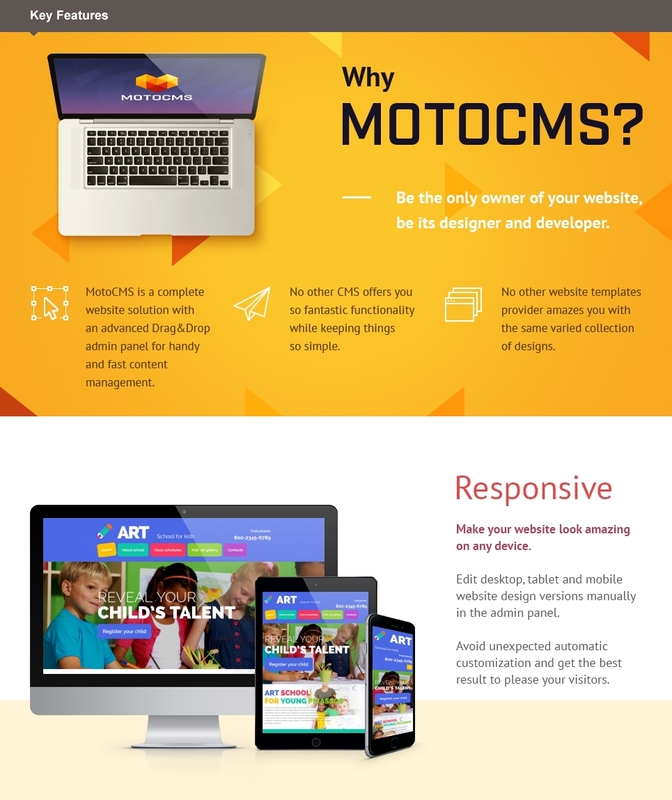 Our Art School Responsive Moto CMS 3 Template is a perfect solution for any educational or writing related site. You don't have to spend much effort and energy on the installation process due to the extensive documentation that gives an opportunity to dedicate more time to your content. You can modify the content with ease on your own, no programming skills are needed. Any person can do it, due to the easy in use art school website builder widgets and plugins. 100% responsive design and cross-browser features make your website compatible with all popular web browsers. Be sure that all text elements look easy to grasp and read with neat and smooth visual effects. The Art School Responsive Moto CMS 3 Theme includes a variety of stock photos and pages you can use freely. Well-structured materials, combined with easy navigation and fast load time, provide your customers with a top-quality user experience. While choosing a template you can opt for a free 14-day trial offer. 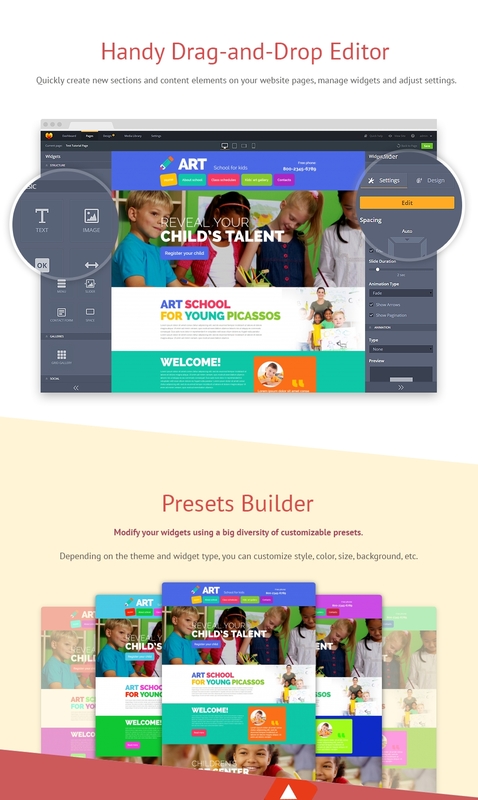 Set up your website with confidence using art school website builder. Address our free 24/7 lifetime support if you have any questions.